If you like flower jewelry, you can check this Pandahall tutorial on how to make rose flower dangle earrings with grosgrain ribbon. 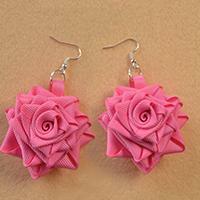 Enjoy the pair of ribbon rose flower earrings tutorial! Wanna make a handmade notebook cover? 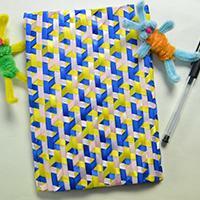 If yes, this easy DIY blue ribbon notebook cover craft may give you some inspirations. Follow me to see how to make this handmade ribbon notebook cover. 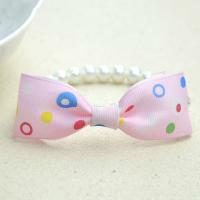 Today’s tutorial aims to demonstrate you a simple way to carry out a bow tie bracelet DIY idea. 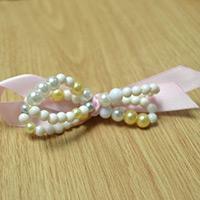 Young girls will love this cute pearl & ribbon bracelet. 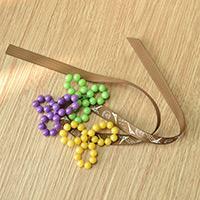 Here is a tutorial on how to make a beaded hair clip with pearls. 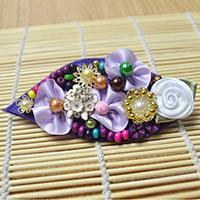 If you like this princess-style beaded hair clip design, just make it! If you enjoy making your own wood bead jewelry, check out this tutorial to learn how to make a wood bead bracelet with turquoise pendants. By the way, it’s kind of in ethnic style! 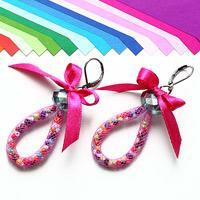 This time I will teach you how to make a beaded pansy flower bracelet with a ribbon as base. It requires sewing but really simple. Another unique Christmas idea! 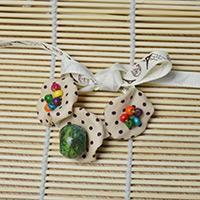 Today I will show you how to make a collar necklace with beads for Christmas. 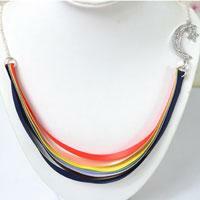 This collar necklace is based on felt and embellished with various beads. Here is a tutorial on how to make Christmas bracelets. 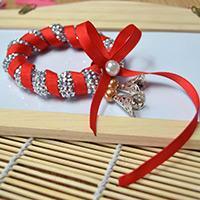 This Christmas bracelet is a simple but beautiful bead bracelet which is made of red ribbon and silver beads. 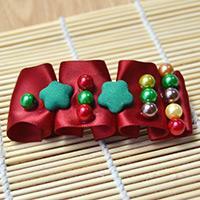 This tutorial is entirely about teaching you how to make a folded red ribbon hair clip for Christmas. 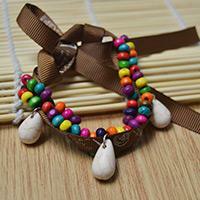 The addition of beads and fabric covered buttons makes it more attractive. 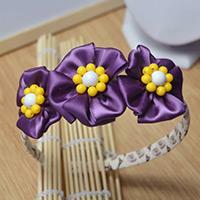 If you would like to DIY a felt hair clip with kinds of colorful beads and ribbon flowers, this leaf-shaped hair clip is exactly what you want! 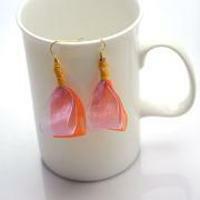 This loop earring idea is going to show you a creative way about how to make a pair of funky garland loop earrings with net thread cord, seed beads and ribbon. 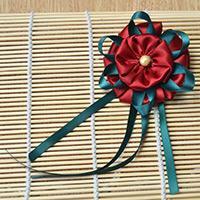 Find out how to make a large three-layer red ribbon flower brooch here! With detailed instructions and clear pictures, you can make it without any difficulty. 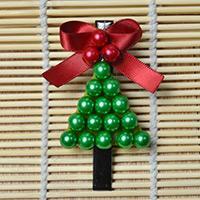 This time I made a Christmas tree hair clip with beads. 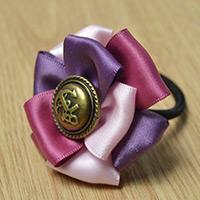 Anyone who wants to learn how to make a hair clip for Christmas can look here! How to make a fun Christmas decoration with kids at home? 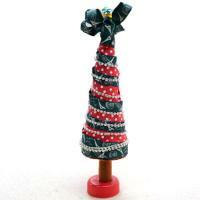 The best way to get started is to try this mini Christmas tree centerpiece out of red & green ribbons and felt. Easy but fabulous!